As a subscriber to Dive Training magazine and Divers Alert Network Publications I have seen many articles discussing techniques on proper descending skills. I have talked with several physicians regarding barotraumas and other equalization difficulties one may encounter. Today let's look at how we can reduce the risks associated with improper equalization techniques and enjoy the dive. At the start of my class I always have the students complete the medical questionnaire and on an individual basis I discuss any concerns with each student. More times than not a student indicates problems with equalizing their ears. After a short discussion we find out that the student never really learned how to equalize their ears or suffered from an allergy of some sort or another. Anything else and I refer them to their doctor. We as instructors must never assume that a student has learned proper techniques to equalization prior to coming to our class. I have seen in many students the tendency to force the equalization. This is not a good practice and may result in injury. Rather I ensure that all students understand that equalization starts before the dive. Divers are instructed never to dive with a cold. Congestion of the sinus cavities makes equalization difficult and those who choose to use one of the many decongestants available at your local drug store risk the possibility of the medication wearing off during the dive. We still have very little understanding of the effects of increased partial pressures on these medications. 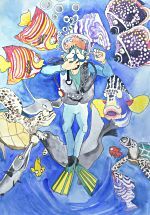 Decompression Illness is a possible risk of diving with a cold. Don't dive with a cold. Ok so now we have many techniques available to us to effectively equalize our ears. We can swallow, we can wiggle or thrust our jaw forward; or we as most of us do, perform the Valsalva. The swallow technique is a gentle way to equalize your ears performed by pressing our tongue against the roof of our mouth and simply swallowing. For some this just is not very efficient. We wiggle and /or thrust our jaw forward and even yawn causing our eustachian tubes to flex thus allowing more air to enter our ear drum cavity equalizing our ears. This technique works very effectively at deeper depths were pressure changes are not as great. The Valsalva technique although disputed by some as being violent to the inner ears is nonetheless the most widely used and effective technique. When performed safely and correctly no barotrauma occurs. The correct method of its application is to gently perform the technique gently and more frequently. I have my students actually use this technique and explain that it is important they pre-pressurize their ears before they begin their descent and immediately upon submerging the moment their head is beneath the water's surface, then repeat gently every few feet thereafter, never allowing discomfort to occur. Also I explain the importance of a feet first descent and to avoid kicking if at all possible. Kicking only causes the student to ascend and wreaks havoc on their ears; to prevent this I have them cross their legs, point their toes. You need to explain to your students that a descent is a fall to the bottom, and that we control our descent by leveling out and patiently and correctly using our BCD. Students should learn that slow descents are perfectly fine and that it is ok to take their time. It's not a race!